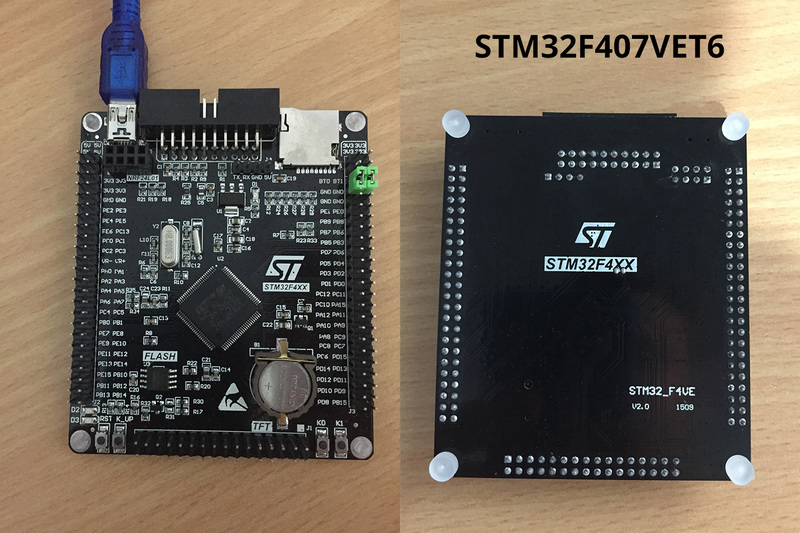 I've created stmhal board definitions for these two generic unbranded dev boards from China, labelled STM32F407XX. 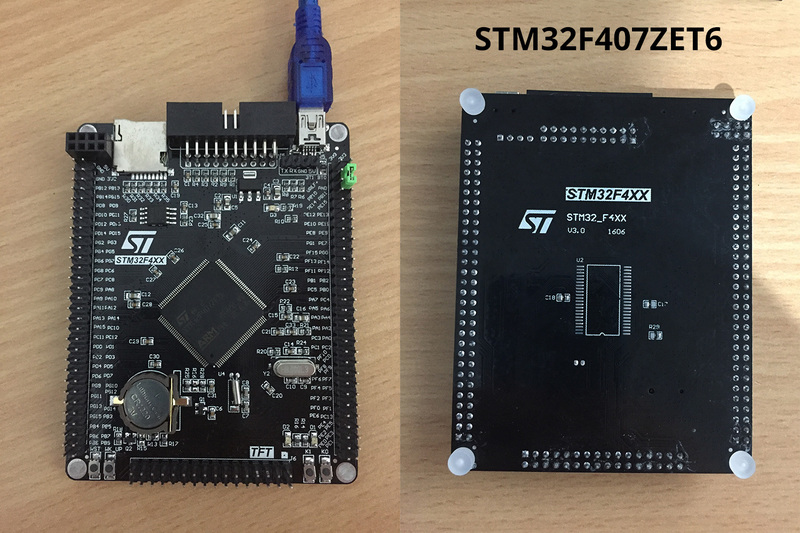 For lack of a better name, I've simply called them BLACK STM32F407xx. They are very similar boards with the main differences being cpu size (more io pins), led colour and rearranged components. Installed MicroPython v1.8.7-333 on both using ST-Link V2 (clone). Connect ST-Link to usb port, making sure there are no other power sources connected to your board. Disconnect ST-Link, connect Mini-USB to computer and connect to the board. Last edited by mcauser on Mon Oct 23, 2017 2:33 pm, edited 2 times in total. Mine took 33 days to get delivered to Australia. Chinese new year celebrations have caused a few of my orders to get delayed. I got a couple of the VET6 "black" boards and hacked up a configuration for them, too. I was able to get the nRF24L01 SPI connector to work between two of the boards, having them talk to each other running a tweak of the driver test in the source tree. Likewise, I was able to talk to an I2C SSD1306 display running as well. Good / bad news -- I did also get the SD card functional, but this board apparently doesn't have a "card present" switch available. So I had to add an #ifdef in a couple of places in stmhal/sdcard.c to avoid initializing the GPIO pin if a card present signal wasn't available, and to always return true in sdcard_is_present() function, and relying on the I/O to fail. This seems to work just fine! Also, I was able to successfully load micropython into the board over USB using dfu-util which was a bit of a time-saver.. I confirm STM32F407VET6 works fine. Compiled MicroPython in Docker(ized) Ubuntu on orangePI ONE . Uploaded firmware.dfu via dfu-util. Tested servo on PA0 (->X1, pyb.Servo(1)) and PA2 (->X3, pyb.Servo(3)). I see some reaction but totally wrong. RTC exibits reset to default time on power cycle. Can someone confirm? I did some more investigations. I'm using lmamakos patched source. Maybe a timing problem -> problem with servo. Ok, as I supposed, wrong timings. line 104, frequency of external osc should be 8Mhz not 25 (at least on my board). After change servo and delay goes ok. RTC not tested, yet.